These piston and cylinder kits seem to be the rage right now. I used one on the last build and had very little problems aside from the pushrod seals being extremely difficult to install. 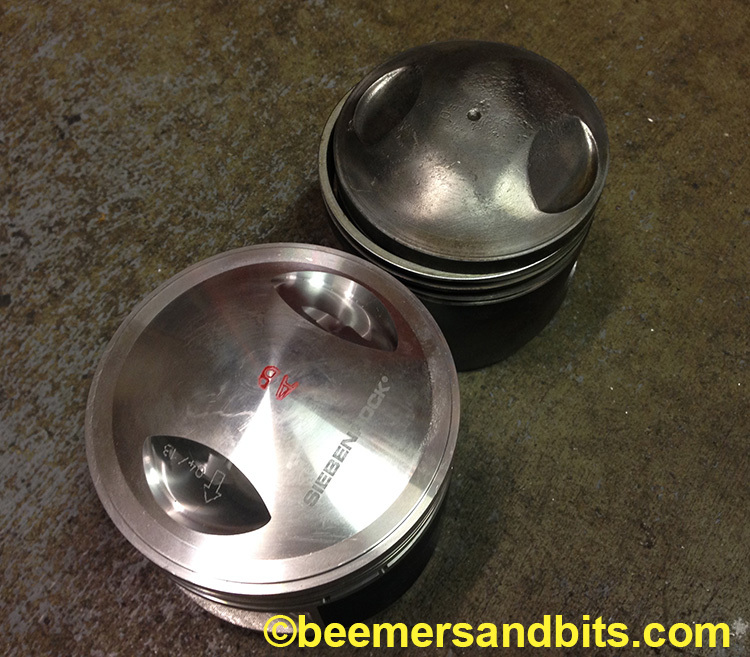 The pistons are made to mate with the R75/5 heads and you can use the same carbs (might need to change jetting). 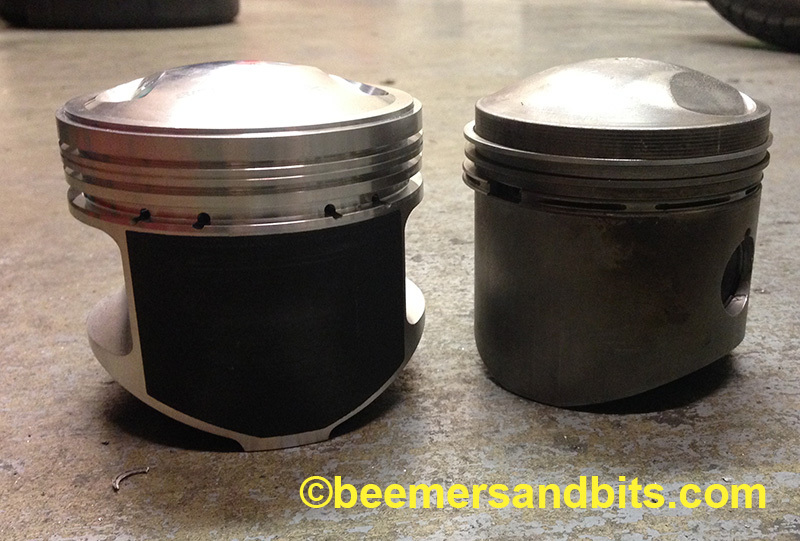 Here is a quick look at the piston and how it compares to a stock R75/5 piston that i have lying around. 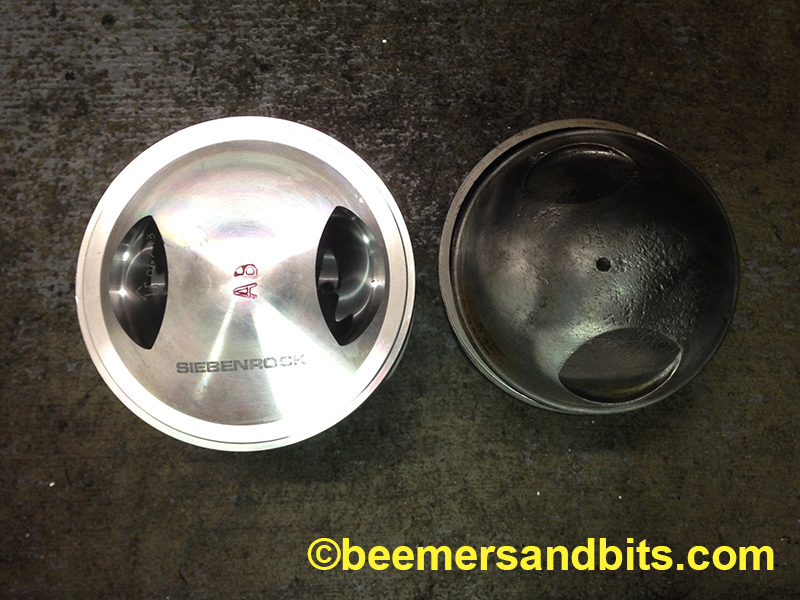 It is a lighter, yet wider piston. The piston on the right has the rings on it still. The siebenrock doesn’t have the rings on it. I didn’t measure heights when i snapped this photo but they seem close. 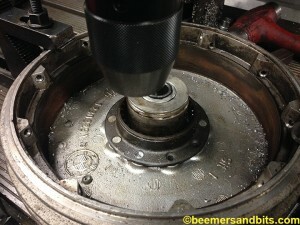 The piston in the cylinder. 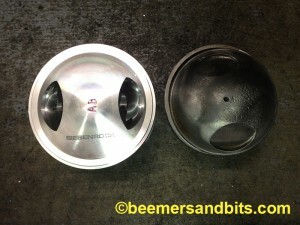 The cylinder wall is very thin compared to a R75/5 cylinder. I haven’t heard of any issues with these yet. Supposedly they give you a 20% gain in power… so that makes it around 900cc. I’m pretty sure they are cheaper then replacement BMW parts too. It really helps to have friends with amazing machinery. 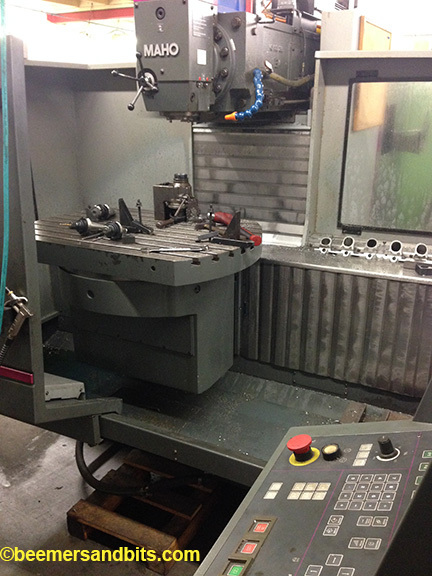 In this case, it is my first time using a Maho milling machine. 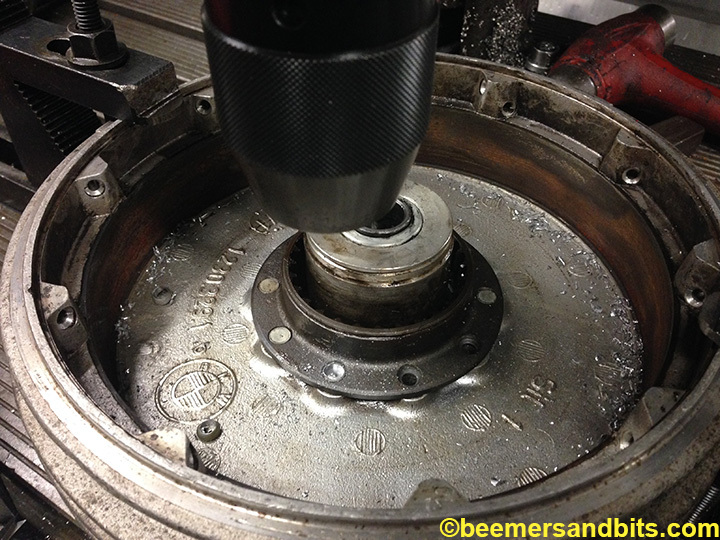 I learned the basics and was able to use it to drill out the rivets for this worn rear wheel spline. Although it could be done as an entire wheel, I de-laced the hub and it was much easier to handle. 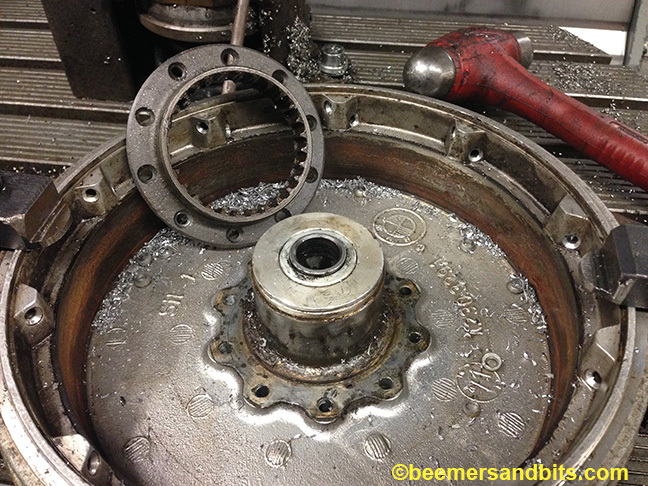 The hub will will get powder coated and new bearings, spokes and rim anyway. 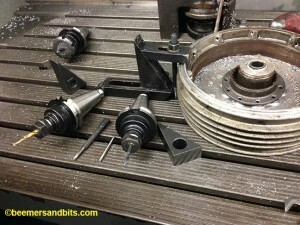 Here are the various attachments. 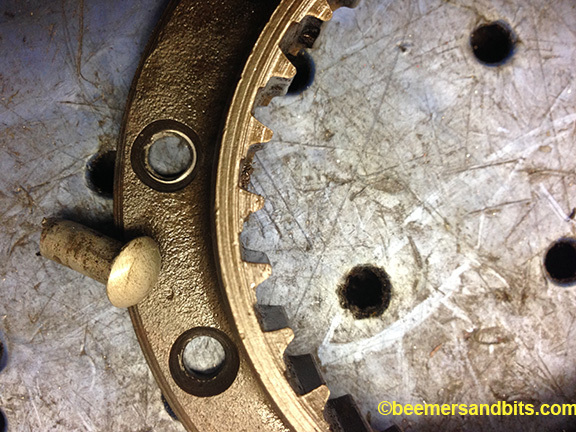 One was for making a center punch style hole, the other was to drill out the rivet. There is so much prep work to do that never gets seen for the final bike. I spent 4 days lining this gas tank to be used for the next build. The first step of the POR 15, “Marine Clean” is one you have to be careful of. You can use old petcocks or get corks to stuff into the fuel taps to seal them off. The hard part is sealing off the gas cap area. You don’t want to spill this stuff on a tank that you are not painting on the outside!!! It will leave a stain on the paint. 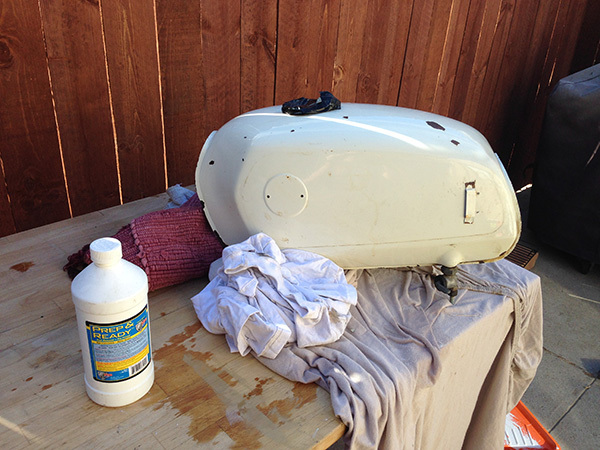 This tank will get some body work done to it and re-painted so I wasn’t too concerned when some “Marine Clean” spilled out of the gas cap area. This takes a good amount of sloshing around to clean the tank at least 20 minutes. Then you need to empty the tank and rinse it thoroughly with water. The “Metal Ready” is the second step and it will remove the rust and prep the metal for the paint to stick to it. 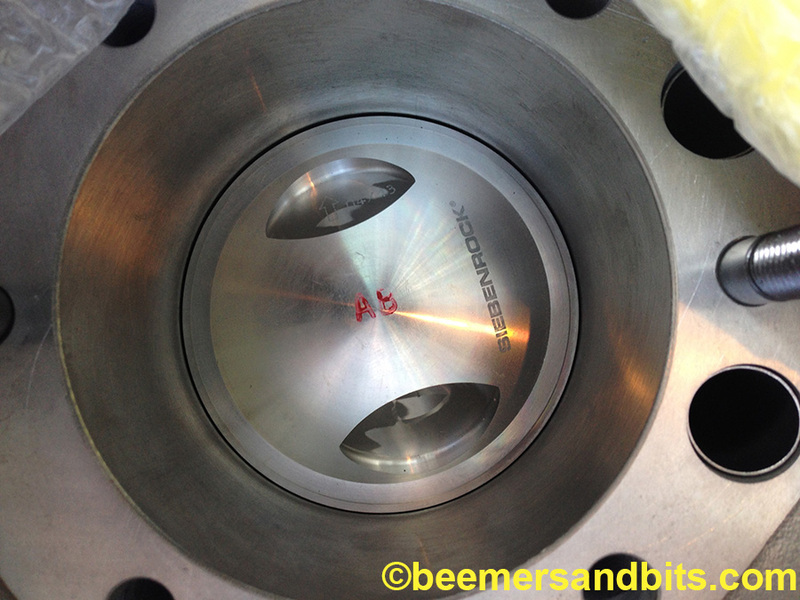 This step requires that you leave the fluid on each side of the tank for about 20-30 minutes. You then need to completely dry the tank. Day 3 – an extra day in the sun and a few rounds with a heat gun to let the tank dry. A messy process. You have to mix it well, pour it in and then turn the tank in every direction so the goopy paint has covered every part of the tank. If it spills, clean it immediately. Then carefully pour all the excess paint out. I find that I end up using about 1/2 of the can that comes with the kit. If you have 2 tanks, or a friend’s tank, you might be able to get two tanks done for the price of one!